I get so many emails from vendors trying to sell or endorse their latest device with the ultimate goal of improving acceleration and top end speed (MaxV or maximum velocity). There are only a handful of really useful gadgets, but it all depends on your athletes. For example, for overspeed training, you can use wind, downhill, or pulleys. 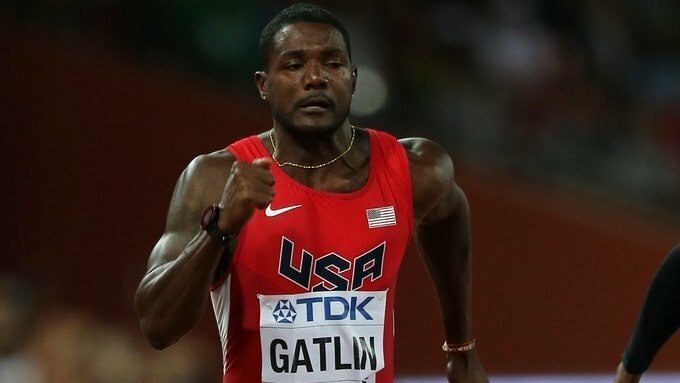 I still feel wind is your best natural overspeed training “device”, and Justin Gatlin running a 9.45 with a +20 m/s (yes, you read that correctly, 20 not 2.0) proves my point. My opinion is you need to address two things first. One is you need proper biomechanics. The second is having sufficient strength and power in the legs during ground contact. If you don’t have these two in a solid foundation, then there is no rush to start using overspeed and resisted training devices, especially for Youth and Masters sprinters. Get the basics first, then we’ll talk later. Peter Weyand once said, “The key to increasing forces in to the ground isn’t the muscle force but the way the limb makes contact with the ground.” And he is 100% correct on this. So biomechanics and sufficient strength levels is the key to acceleration and top end speed. 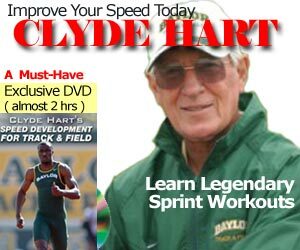 In my 9 years of training with Dennis Barrett, the only device we used for resisted sprinting was hills. McGill University in Montreal has a nice hill as it sits on the foot of Mount Royal. And because there was a fire station on top of the hill, it was always paved and salted during the winter months. We did hills of various lengths: 60m, 100m, 150m, 200, and (ugh) 300m. They were always between the magic numbers of 7 to 40 seconds. We also used wind, but always as a tail wind. We never ran into the wind on a short sprint. Of course we had wind on both sides, front and back, on a 300m or 400m workout. Tailwinds are great because it allows you to reach top speed, or maxV more efficiently. Your muscle memory and biomechanics are actually running that higher speed, albeit a phantom speed. No fancy parachutes. No cables. No rubber tubing, pulleys or isorobic ropes. No dorsifexion tubes as seen by Loren Seagrave’s Speed Dynamics. We didn’t use belts or harnesses attached to a rope. And we still ran fast. At least we hoped. I am not saying don’t buy these products, because they all have their place in the training inventory. But I feel your efforts should be places on sound biomechanical skills, and some basic kind of weight training with your own bodyweight, or at least dropping down from gravity at 9.8 m/s2 ! As long as the device does NOT alter the biomechanics – up to a certain point – I think it is safe to use it.